The WindVISION™ is a complete strategy for both yaw and pitch optimisation, which integrates with the wind turbine controller. • The line of sight can be customised in the range of 40-100 metres, according to the customer’s needs. • Both the horizontal and the vertical angle of the beams can be customised to meet the customer’s requirements. In a wind farm, wakes from neighbouring turbines causes detrimental effects, namely increased loads and reduced power production. The WindVISION™ will be able to measure and gather data relevant to the wake situation affecting the turbine. 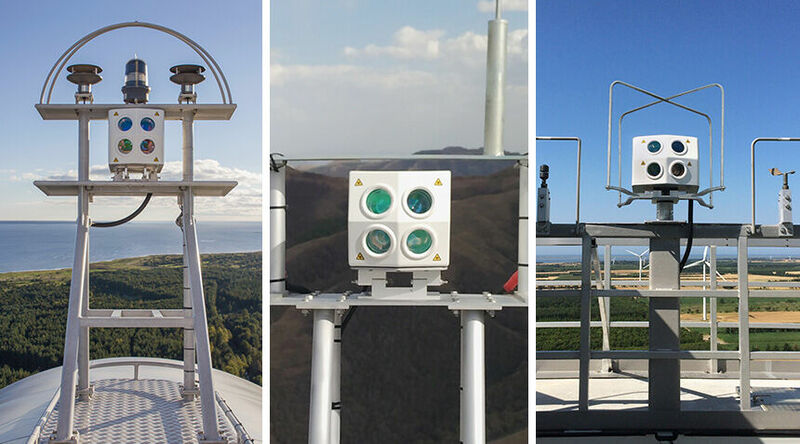 The WindVISION™ is able to measure and gather data concerning turbulence caused by topographical obstacles or a turbulent climate, which can affecting the wind turbine. Wind shear occurs when the wind speed varies significantly at different altitudes, causing the wind turbine rotor to be subject to vastly different oncoming wind speeds, which will cause a significant amount of strain on the turbine’s rotor and the gearbox. Due to the WindVISION™’s vertical beams, the system is able to measure the wind speed at different altitudes, thereby providing data concerning the behaviour of the wind shear in relation to the specific turbine. The rotor effective wind speed is a measurement of the de facto wind speed affecting the totality of the rotor-plane. 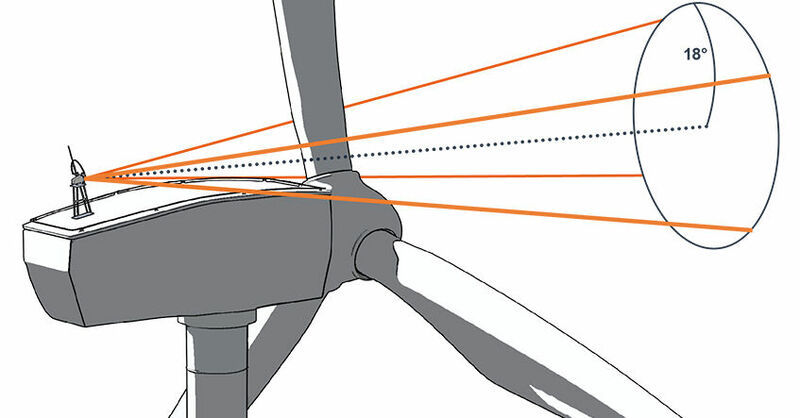 The wind data from the WindVISION™ can be utilised to estimate the rotor effective wind speed. The WindVision™ is exceptionally easy to install, requires no special cranes or hoisting solutions, and the complete installation procedure can be performed in less than a day by a single experienced wind turbine technician. For most WindVISION™ installations, the installation bracket is adapted to the specific turbine model, to ensure compliance with the specific turbines functions. The windows on the Optical Unit must be cleaned with a soft rag during normal turbine maintenance. The light source must be replaced every 4th year, which takes less than 30 minutes for an experienced turbine technician. 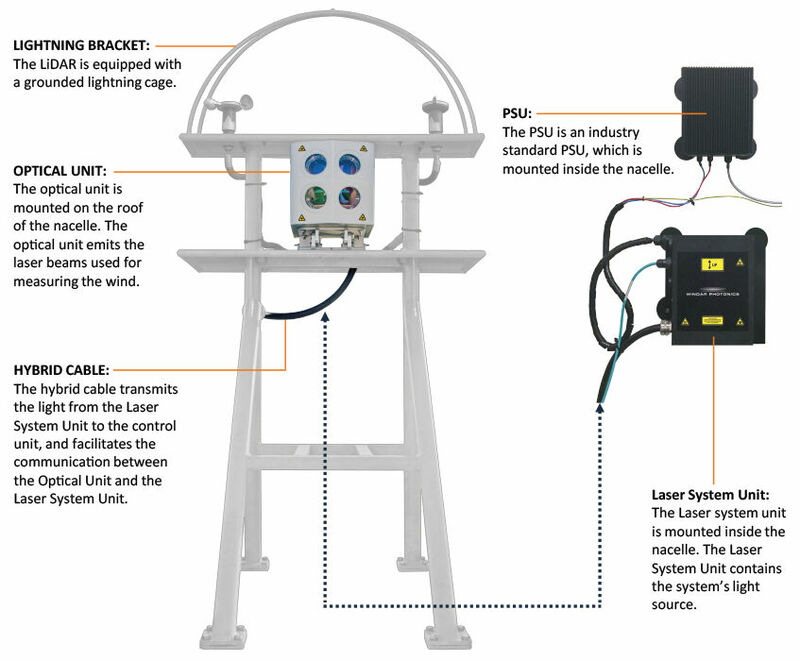 The WindVISION™ can be monitored directly via the turbine’s internet, or by connecting to the LiDAR via a secure internet connection, providing the user both a wealth of information concerning the operation of the LiDAR and real-time wind measurement data. 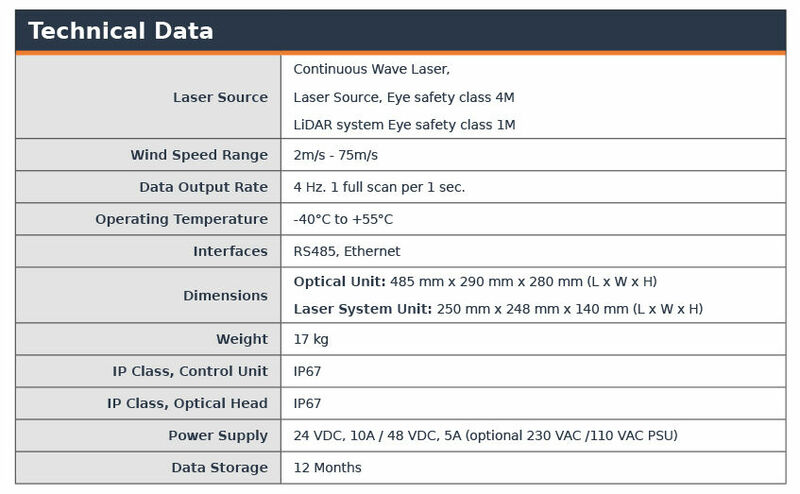 The data collected by the LiDAR can likewise be conveniently collected via remote access through a secure internet connection. Please get in touch with Windar concerning any potential WindVISION™ projects.